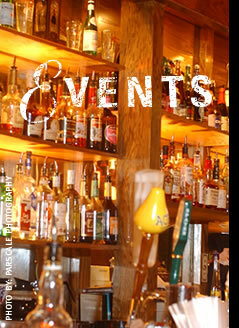 At the Meridian Room, we plan all sorts of fun events, including everything from live music to 5 course beer dinners. Check below to see what's coming up. For July we will be offering "keep the glass" night every Tuesday & Thursday, this week will feature Guinness Draught. This Sunday the 4th we will host Spookeasy and The Tommyguns playing live to kickstart the holiday weekend, with fireworks on Monday the 5th. Every Wednesday - 1/2 price food. All items 1/2 price. Dine in only please. Every Monday - Happy Hour Prices all day, $1 off all draughts, $2.50 domestic bottles and $1 off wells and calls. D.J. Moody (Buga Suga) spins tunes for our service industry brothers and sisters who get a 25% discount. We are proud to announce that we are now recycling glass with the help of Recycle Revolution.